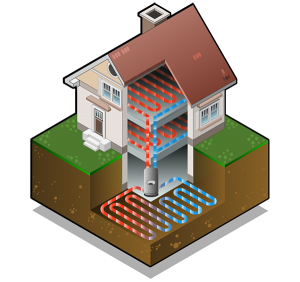 Geothermal energy is one way we are bringing heat pump efficiency to your homes or business. The geothermal energy delivers forced-air heating and cooling, and hot and chilled water to your spaces. Whether it’s water-to-water, water-to-air, or split systems, Modine’s geothermal energy heat pumps are one of the most eco-friendly ways to heat and cool your home or business. 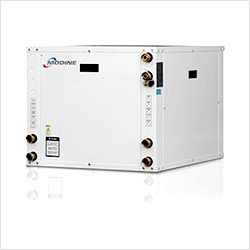 Modine’s geothermal water-to-water series is a high-efficiency, eco-friendly, reversible and non-reversible ground source heat pump designed to provide superior hot and chilled water performance at a fraction of the cost of conventional systems. 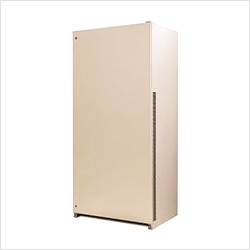 Available in 3 to 12 ton sizes with select units earning ENERGY STAR® Most Efficient in 2015. These units feature the proven and reliable Modine Controls System. A platform designed and engineered around the products, to ensure maximum energy efficiency. Some common applications include direct radiant heating and cooling, radiant floor heating, domestic hot water heating, pool/spa heating and snow melting. 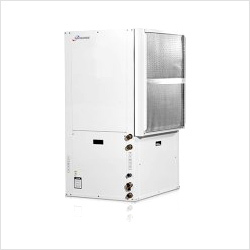 Modine’s geothermal water-to-air series is a high-efficiency, eco-friendly forced-air ground source heat pump designed to provide the ultimate in comfort. Available in 1.5 to 6 ton sizes in vertical and horizontal configurations to meet any space requirements – such as a basement, attic or crawlspace. These units feature the proven and reliable Modine Controls System. A platform designed and engineered around the products, to ensure maximum energy efficiency. Select Water-to-Air Geothermal Systems earned ENERGY STAR Most Efficient in 2015, so you can enjoy the comfort without the consequence. Split systems are available for those looking to add geothermal HVAC solutions into a new or retrofitted location. Both the air handler and split mechanical sections can be easily installed when paired together. Modine has five models to choose from, available in 2 to 6 ton sizes. And like all other units, these systems come with the proven and reliable Modine Controls System as standard equipment. Combining the natural heat sink of the earth with Modine’s patented CF® coil, the SchoolMate water/ground source heat pump maximizes energy efficiency, saving schools thousands of dollars annually. It requires less HVAC equipment space and reduces operating costs. 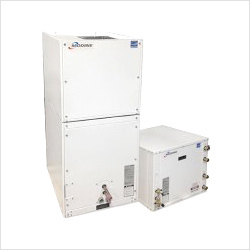 Contact Redmond HVAC to discuss which Modine Geothermal Heat Pump is right for you.